People with learning disabilities lack meaningful choices about where to live. People with learning disabilities feel they are placed in houses far away from their family and friends. Parents with learning disabilities are not provided with adequate support. Transport links, particularly bus services, are hugely important if people with learning disabilities are to live active and independent lives. People with learning disabilities should be able to have safe and healthy relationships. Women with learning disabilities should have their sexual health and reproductive rights ensured and should have access to appropriate services if they experience gender based violence. Ensure that the needs of people with learning disabilities are reflected in decision making about housing provision, and that there is greater transparency and accountability in how these decisions are made. This will include reflecting these needs in the refresh of local housing strategies, new Scottish Government Housing Allocations Guidance by working with the Association of Chief Housing Officers, housing associations, local authorities and other providers. Support people with learning disabilities to become more connected to their local communities through public transport, by ensuring their needs are considered by providers, particularly bus services. Protect the rights of people with a learning disability to become parents, addressing the need to provide effective, early and on-going support to keep families together, including producing an easy read version of NHS Health Scotland’s Parenting Guide ‘Ready Steady Baby’, commissioning SLDO to produce better data on women who become mothers and their children who become adopted or looked after, and working collaboratively with health and social care partnerships to address stigma and discrimination associated with the rights of people with a learning disability to have children. Recognise the rights of people with a learning disability to enjoy and maintain healthy relationships, including sexual relationships. Address the discrimination around the reproductive rights of women and girls with a learning disability to be given appropriate relationship, sexual health and parenting education, to be empowered around their own reproductive health and to have access to advice and services. This will include working collaboratively with health and social care partnerships to address stigma and discrimination and including advice and guidance on learning disability in the redraft of the sexual health framework in 2019. Recognise and promote the rights of people with a learning disability to be protected against gender based violence by working with the NHS Health Scotland Advisory Group on their Gender Based Violence programme including the publication of guidelines for frontline staff in 2019. Leeanne Clark, is a writer from Fife, and an RSA Fellow. 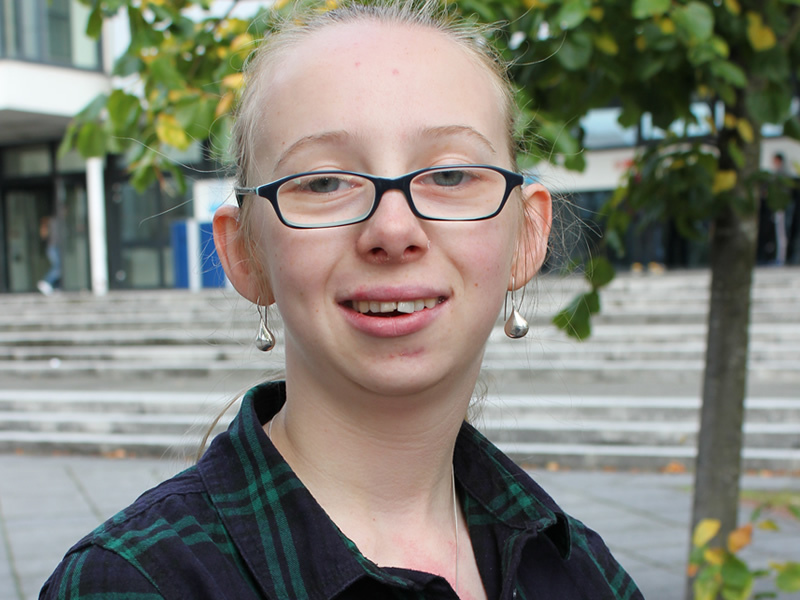 Leeanne is writing a book documenting her life to share with health and social care professionals, academics and other people with learning disabilities. Leeanne hopes that her book will influence future practice and provide a source of inspiration for people in a similar situation to hers.